In association with TheKaliDiaries, Victoria Anderson Photography: The Moment When All The World Stops is proud it offer a print edition of Victoria Anderson's photography portfolio. 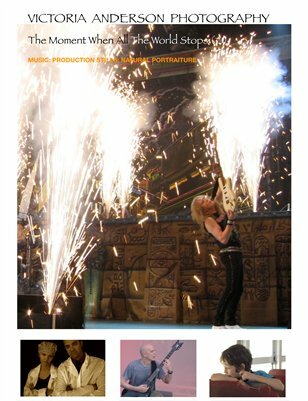 This edition offers the best in live concert photography, production stills, and natural portraiture. If you are looking for a one of a kind, zen, groovalicious photographer - Victoria Anderson is the person you want shooting!